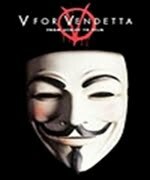 V for Vendetta: The futuristic tale unfolds in a Great Britain that’s a fascist state. 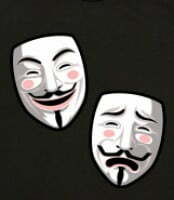 A freedom fighter known as V uses terrorist tactics to fight the oppressive society. He rescues a young woman from the secret police, and she becomes his unlikely ally. 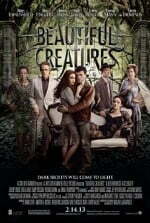 Beautiful Creatures: Ethan longs to escape his small Southern town. He meets a mysterious new girl, Lena. Together, they uncover dark secrets about their respective families, their history and their town. 1984: In a futuristic, state-run society controlled by “Big Brother” in which love is outlawed, employee of the state Winston Smith falls for Julia, and is tortured and brainwashed for his crime. 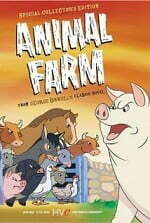 Animal Farm: Britain’s second animated feature, which, despite the title and Disney-esque animal animation, is in fact a no-holds-barred adaptation of George Orwell’s classic satire on Stalinism, with the animals taking over their farm by means of a revolutionary coup, but then discovering that although all animals are supposed to be equal, some are more equal than others. 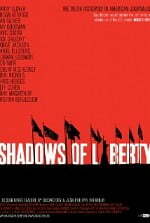 Shadows of Liberty: Shadows of Liberty presents the phenomenal true story of today’s disintegrating freedoms within the U.S. media, and government, that they don’t want you to see. The film takes an intrepid journey through the darker corridors of the American media landscape, where global media conglomerates exercise extraordinary political, social, and economic power. The overwhelming collective power of these firms raises troubling questions about democracy. Highly revealing interviews, actuality, and archive material, tell insider accounts of a broken media system, where journalists are prevented from pursuing controversial news stories, people are censored for speaking out against abuses of government. 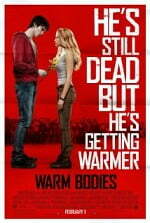 Warm Bodies: With much of the world’s population now an undead horde, R is a young and introspective zombie. While fighting with and feeding on a human scavenger party, R meets Julie and feels an urge to protect her. What happens next is the beginning of a strangely warm relationship that allows R to begin regaining his humanity. As this change spreads through the local undead population like a virus, Julie and R eventually have to face a larger issue when the very nature of their friendship is challenged. Caught between the paranoid human forces and the ferocious “Bonies”, zombies who are a mutual threat, R and Julie must find a way common bond bridge the differences each sides must overcome. 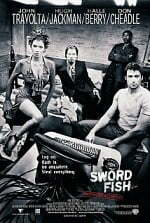 Swordfish: When the DEA shut down its dummy corporation operation codenamed SWORDFISH in 1986, they had generated $400 million which they let sit around; fifteen years of compound interest has swelled it to $9.5 billion. A covert counter-terrorist unit called Black Cell, headed by the duplicitious and suave Gabriel Shear, wants the money to help finance their raise-the-stakes vengeance war against international terrorism, but it’s all locked away behind super-encryption. He brings in convicted hacker Stanley Jobson, who only wants to see his daughter Holly again but can’t afford the legal fees, to slice into the government mainframes and get the money. 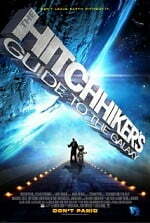 The Hitchhiker’s Guide to the Galaxy: Everyone has bad mornings. You wake up late, you stub your toe, you burn the toast…but for a man named Arthur Dent, this goes far beyond a bad day. When he learns that a friend of his is actually an alien with advanced knowledge of Earth’s impending destruction, he is transported off the Earth seconds before it is exploded to make way for a new hyperspace motorway. And as if that’s not enough, throw in being wanted by the police, Earth II, an insane electronic encyclopedia, no tea whatsoever, a chronically depressed robot and the search for the meaning of life, and you’ve got the greatest adventure off Earth. 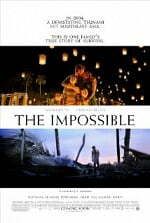 The Impossible: A regular family – Maria (Naomi Watts), Henry (Ewan McGregor) and their three kids – travel to Thailand to spend Christmas. They get an upgrade to a villa on the coastline. After settling in and exchanging gifts, they go to the pool, like so many other tourists. A perfect paradise vacation until a distant noise becomes a roar. There is no time to escape from the tsunami; Maria and her eldest are swept one way, Henry and the youngest another. Who will survive, and what will become of them? Dredd: The future America is an irradiated waste land. On its East Coast, running from Boston to Washington DC, lies Mega City One – a vast, violent metropolis where criminals rule the chaotic streets. The only force of order lies with the urban cops called “Judges” who possess the combined powers of judge, jury and instant executioner. 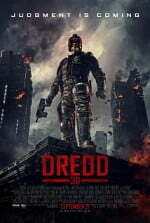 Known and feared throughout the city, Dredd is the ultimate Judge, challenged with ridding the city of its latest scourge – a dangerous drug epidemic that has users of “Slo-Mo” experiencing reality at a fraction of its normal speed. During a routine day on the job, Dredd is assigned to train and evaluate Cassandra Anderson, a rookie with powerful psychic abilities. The Odd Life of Timothy Green: After receiving bad news from a fertility doctor, Cindy and Jim Green try to bury their dreams of having a child by writing out all the great traits their child would have and putting them in a box in the garden. During a freak storm in the middle of the night, they awake to find a boy named Timothy, with leaves growing from his ankles, standing in their kitchen calling them mom and dad. Cindy and Jim are thrown into the midst of parenthood and over the coming months, Timothy will teach them more than they could have imagined about being parents and raising a child, no matter how he comes into their lives. 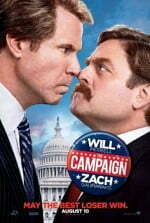 The Campaign: When Cam Brady (D-NC), a four-term Congressman, becomes a liability, the Motch brothers (think Koch brothers) recruit Marty Huggins, the son of a Republican heavy hitter, to run against him and be their vehicle to establish factories in the district that will import cheap Chinese labor. Trouble is, Marty is a lightweight, so his makeover falls to consultant Tim Wattley. The race tightens as Cam constantly shoots himself in the foot, while the prospect of winning also changes Marty and his family’s dynamics. Meanwhile, Cam plays dirty, and Marty cottons on to the Moches’ grand plan. What options do the rich have to get their way? 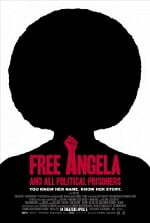 Free Angela and All Political Prisoners: A documentary that chronicles the life of young college professor Angela Davis, and how her social activism implicates her in a botched kidnapping attempt that ends with a shootout, four dead, and her name on the FBI’s 10 most wanted list. 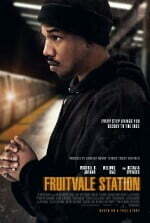 Fruitvale Station: This is the true story of Oscar, a 22-year-old Bay Area resident who wakes up on the morning of December 31, 2008 and feels something in the air. Not sure what it is, he takes it as a sign to get a head start on his resolutions: being a better son to his mother, whose birthday falls on New Year’s Eve, being a better partner to his girlfriend, who he hasn’t been completely honest with as of late, and being a better father to T, their beautiful 4 year old daughter. He starts out well, but as the day goes on, he realizes that change is not going to come easy. He crosses paths with friends, family, and strangers, each exchange showing us that there is much more to Oscar than meets the eye…. Goodbye World: James and Lily live off the grid, raising their young daughter in a cocoon of comfort and sustainability. When a mysterious mass text ripples its way across the country, triggering a crippling, apocalyptic cyber attack, their home transitions from sheltered modern oasis to a fortress for the estranged old friends that show up at their door for protection and community. The unexpected reunion–abundant with revelry and remembrances, generously enhanced by organic wine and weed–is quickly undermined by the slights of the past, the spark of lingering flirtations and the threat of a locally grown new world order. Balancing tense confrontations with slivers of levity, director Denis Henry Hennelly pinpoints a future where ideology explodes into action in every area. The East: A successful operative for an elite private intelligence firm is tasked with infiltrating an anarchist group known for executing covert attacks upon major corporations. However, she finds her priorities changing as she befriends the members and begins to develop romantic feelings for its charismatic leader. Robocop: In RoboCop, the year is 2028 and multinational conglomerate OmniCorp is at the center of robot technology. Overseas, their drones have been used by the military for years – and it’s meant billions for OmniCorp’s bottom line. Now OmniCorp wants to bring their controversial technology to the home front, and they see a golden opportunity to do it. When Alex Murphy (Joel Kinnaman) – a loving husband, father and good cop doing his best to stem the tide of crime and corruption in Detroit – is critically injured in the line of duty, OmniCorp sees their chance for a part-man, part-robot police officer. OmniCorp envisions a RoboCop in every city and even more billions for their shareholders, but they never counted on one thing: there is still a man inside the machine pursuing justice. Her: A lonely writer develops an unlikely relationship with his newly purchased operating system that’s designed to meet his every need. Transcendence: Dr. Will Caster (Johnny Depp) is the foremost researcher in the field of Artificial Intelligence, working to create a sentient machine that combines the collective intelligence of everything ever known with the full range of human emotions. His highly controversial experiments have made him famous, but they have also made him the prime target of anti-technology extremists who will do whatever it takes to stop him. However, in their attempt to destroy Will, they inadvertently become the catalyst for him to succeed-to be a participant in his own transcendence. For his wife Evelyn (Rebecca Hall) and best friend Max Waters (Paul Bettany), both fellow researchers, the question is not if they can…but if they should. Their worst fears are realized as Will’s thirst for knowledge evolves into a seemingly omnipresent quest for power, to what end is unknown. The only thing that is becoming terrifyingly clear is there may be no way to stop him. Pay It Forward: Young Trevor McKinney, troubled by his mother’s alcoholism and fears of his abusive but absent father, is caught up by an intriguing assignment from his new social studies teacher, Mr. Simonet. The assignment: think of something to change the world and put it into action. Trevor conjures the notion of paying a favor not back, but forward–repaying good deeds not with payback, but with new good deeds done to three new people. Trevor’s efforts to make good on his idea bring a revolution not only in the lives of himself, his mother and his physically and emotionally scarred teacher, but in those of an ever-widening circle of people completely unknown to him. American Hustle: A fictional film set in the alluring world of one of the most stunning scandals to rock our nation, American Hustle tells the story of brilliant con man Irving Rosenfeld, who along with his equally cunning and seductive British partner Sydney Prosser is forced to work for a wild FBI agent Richie DiMaso. DiMaso pushes them into a world of Jersey powerbrokers and mafia that’s as dangerous as it is enchanting. is Carmine Polito, the passionate, volatile, New Jersey political operator caught between the con-artists and Feds. Irving’s unpredictable wife Rosalyn could be the one to pull the thread that brings the entire world crashing down. Man Of Steel: A young boy learns that he has extraordinary powers and is not of this Earth. As a young man, he journeys to discover where he came from and what he was sent here to do. But the hero in him must emerge if he is to save the world from annihilation and become the symbol of hope for all mankind. Twelve Years A Slave: Based on an incredible true story of one man’s fight for survival and freedom. In the pre-Civil War United States, Solomon Northup (Chiwetel Ejiofor), a free black man from upstate New York, is abducted and sold into slavery. Facing cruelty (personified by a malevolent slave owner, portrayed by Michael Fassbender), as well as unexpected kindnesses, Solomon struggles not only to stay alive, but to retain his dignity. In the twelfth year of his unforgettable odyssey, Solomon’s chance meeting with a Canadian abolitionist (Brad Pitt) will forever alter his life. Turbo: A freak accident might just help an everyday garden snail achieve his biggest dream: winning the Indy 500. The Internship: Billy (Vince Vaughn) and Nick (Owen Wilson) are salesmen whose careers have been torpedoed by the digital world. Trying to prove they are not obsolete, they defy the odds by talking their way into a coveted internship at Google, along with a battalion of brilliant college students. But, gaining entrance to this utopia is only half the battle. Now they must compete with a group of the nation’s most elite, tech-savvy geniuses to prove that necessity really is the mother of re-invention. Oblivion: One of the few remaining drone repairmen assigned to Earth, its surface devastated after decades of war with the alien Scavs, discovers a crashed spacecraft with contents that bring into question everything he believed about the war, and may even put the fate of mankind in his hands. The Matrix: Thomas A. Anderson is a man living two lives. By day he is an average computer programmer and by night a hacker known as Neo. Neo has always questioned his reality, but the truth is far beyond his imagination. Neo finds himself targeted by the police when he is contacted by Morpheus, a legendary computer hacker branded a terrorist by the government. Morpheus awakens Neo to the real world, a ravaged wasteland where most of humanity have been captured by a race of machines that live off of the humans’ body heat and electrochemical energy and who imprison their minds within an artificial reality known as the Matrix. As a rebel against the machines, Neo must return to the Matrix and confront the agents: super-powerful computer programs devoted to snuffing out Neo and the entire human rebellion. Ender’s Game: The Earth was ravaged twice by the Buggers, an alien race seemingly determined to destroy humanity. Seventy years later, the people of Earth remain banded together to prevent their own annihilation from this technologically superior alien species. Ender Wiggin, a quiet but brilliant boy, may become the savior of the human race. He is separated from his beloved sister and his terrifying brother and brought to battle school in orbit around earth. He will be tested and honed into an empathetic killer who begins to despise himself as he learns to fight in hopes of saving Earth and his family. The Phantom Tollbooth: Milo is a boy who is bored with life. One day he comes home to find a toll booth in his room. Having nothing better to do, he gets in his toy car and drives through – only to emerge in a world full of adventure. Anchorman 2:The Legend Continues: The continuing on-set adventures of San Diego’s top rated newsman. Green Lantern: A cocky test pilot, Hal Jordan (Ryan Reynolds), acquires superhuman powers when he is chosen by “the Ring”, the willpower-fed source of power, of the Green Lantern Intergalactic Corps. He, reluctantly at first, takes on the challenges these superheroes face. Putting his self-doubts aside, and spurred on by his sense of duty and love for his beautiful, intellectually equal, colleague, Carol Ferris (Blake Lively), he is soon called to defend mankind from Parallax, a super-powerful being who feeds on fear. He is the universe’s last chance, as many Lanterns have been killed and the Corps is weakened. And he might just be the right Lantern for the job of keeping the world safe from harm. Based on the characters of DC Comics series “Green Lantern”. The Butler: As Cecil Gaines serves eight presidents during his tenure as a butler at the White House, the civil rights movement, Vietnam, and other major events affect this man’s life, family, and American society. The Hunger Games: In a dystopian future, the totalitarian nation of Panem is divided between 12 districts and the Capitol. Each year two young representatives from each district are selected by lottery to participate in The Hunger Games. Part entertainment, part brutal retribution for a past rebellion, the televised games are broadcast throughout Panem. The 24 participants are forced to eliminate their competitors while the citizens of Panem are required to watch. When 16-year-old Katniss’s young sister, Prim, is selected as District 12’s female representative, Katniss volunteers to take her place. She and her male counterpart Peeta, are pitted against bigger, stronger representatives, some of whom have trained for this their whole lives. Monsters University: Mike Wazowski and James P. Sullivan are an inseparable pair, but that wasn’t always the case. From the moment these two mismatched monsters met they couldn’t stand each other. “Monsters University” unlocks the door to how Mike and Sulley overcame their differences and became the best of friends. This Is The End: While attending a party at James Franco’s house, Seth Rogen, Jay Baruchel and many other celebrities are faced with the apocalypse. I, Frankenstein: Frankenstein’s creature finds himself caught in an all-out, centuries old war between two immortal clans. Delivery Man: An affable underachiever finds out he’s fathered 533 children through anonymous donations to a fertility clinic 20 years ago. Now he must decide whether or not to come forward when 142 of them file a lawsuit to reveal his identity. Thor: The warrior Thor (Hemsworth) is cast out of the fantastic realm of Asgard by his father Odin (Hopkins) for his arrogance and sent to Earth to live among humans. Falling in love with scientist Jane Foster (Portman) teaches Thor much-needed lessons, and his new-found strength comes into play as a villain from his homeland sends dark forces toward Earth. Free Birds: Two turkeys from opposite sides of the tracks must put aside their differences and team up to travel back in time to change the course of history – and get turkey off the holiday menu for good. The Secret Of Kells: Young Brendan lives in a remote medieval outpost under siege from barbarian raids. But a new life of adventure beckons when a celebrated master illuminator arrives from the isle of Iona carrying an ancient but unfinished book, brimming with secret wisdom and powers. To help complete the magical book, Brendan has to overcome his deepest fears on a dangerous quest that takes him into the enchanted forest where mythical creatures hide. It is here that he meets the fairy Aisling, a mysterious young wolf-girl, who helps him along the way. But with the barbarians closing in, will Brendan’s determination and artistic vision illuminate the darkness and show that enlightenment is the best fortification against evil? Garbage Warrior: The epic story of radical Earthship eco architect Michael Reynolds, and his fight to build off-the-grid self-sufficient communities.